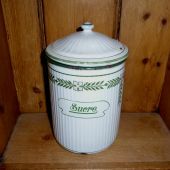 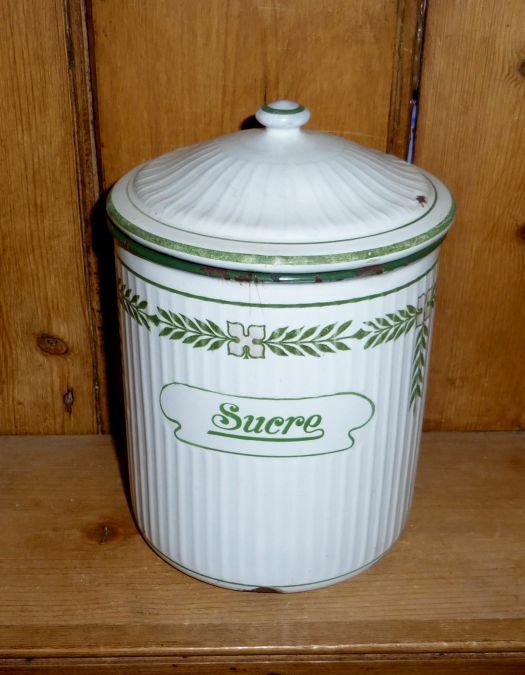 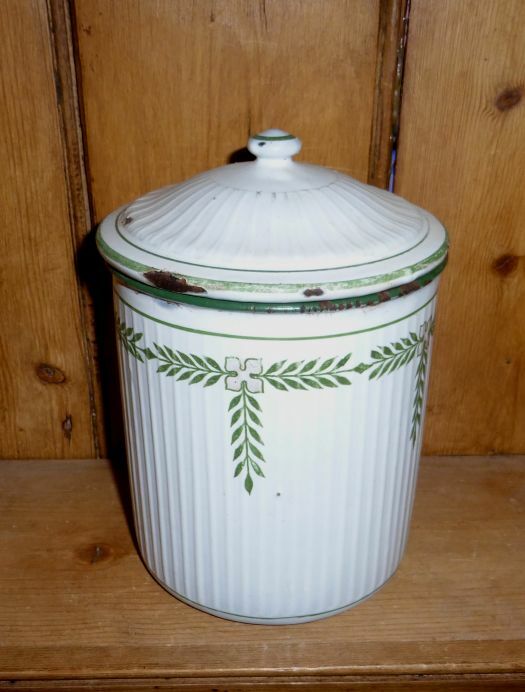 Large enameled canister for sugar, in correct condition, with some chips on the lid and under the canister (photos). 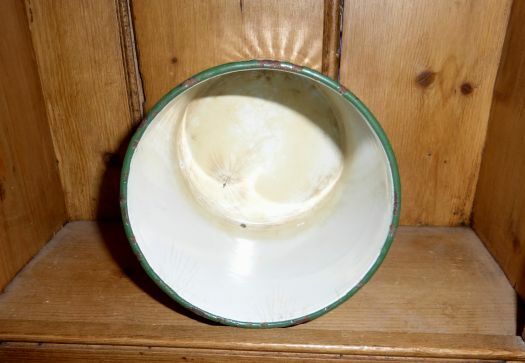 Height 18 cm ; diameter 12,5 cm. 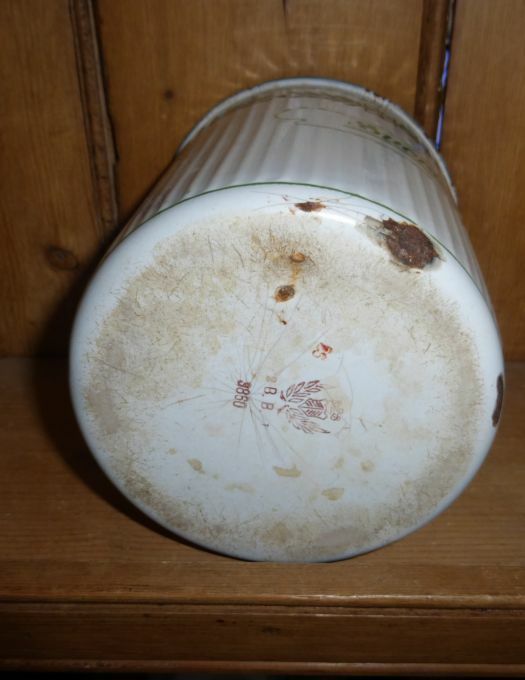 It may used alone or bought to complete a set.